Repeat prescriptions are normally for patients with long-term conditions who receive regular treatment. The doctor will decide who can have a repeat prescription. Occasionally we may ask you to come in for a review. This is usually for safety reasons and we may contact your via text message, on your online patient access or by telephone. We do this to monitor your illness and medication. 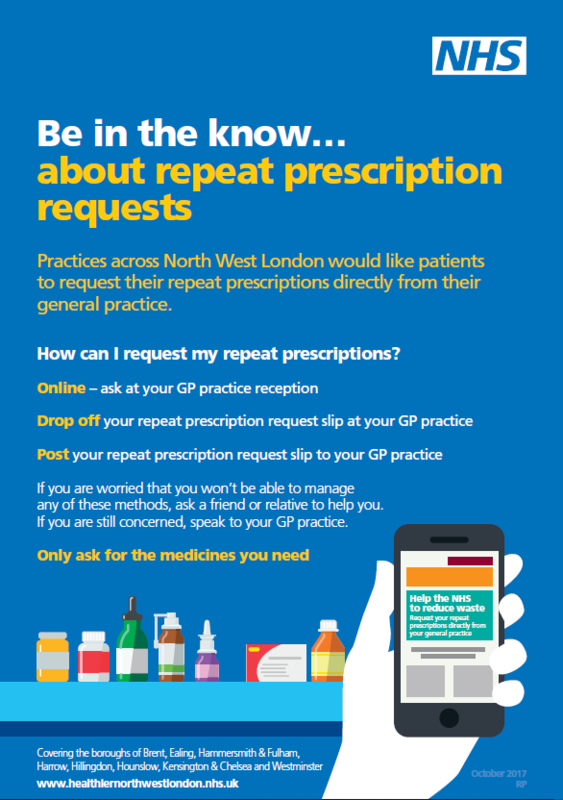 Repeat prescriptions process requires two working days so please request your medication a few days before they run out. 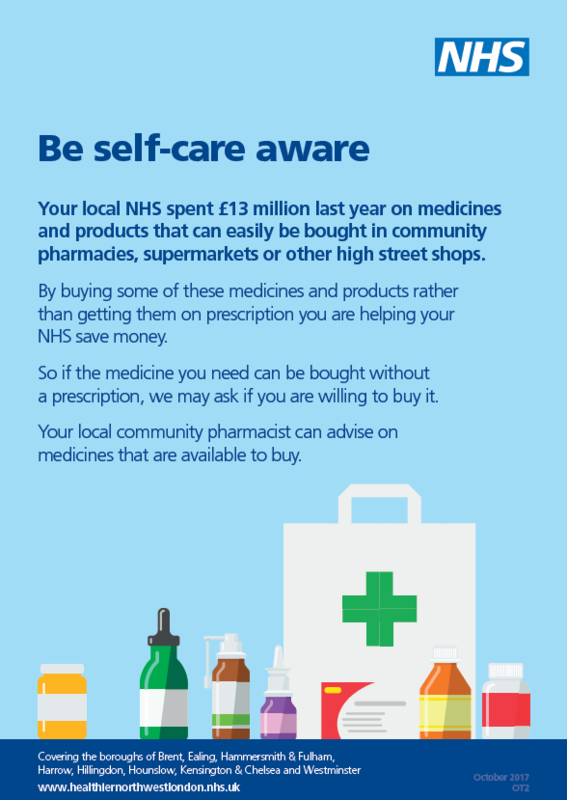 When ordering your repeat prescription, please tell us which pharmacy you would like to collect your medication from, and we will send them your prescription online. This saves paper, reduces waste and is safer for patients. 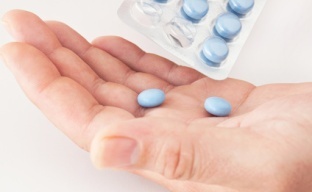 The North West London Collaboration of Clinical Commissioning Groups (CCGs) has launched two new proposals around medicines prescribing across the eight boroughs in North West London, to help reduce waste and to improve patient experience. You can find more information on the North West London CCGs website and see the poster below.